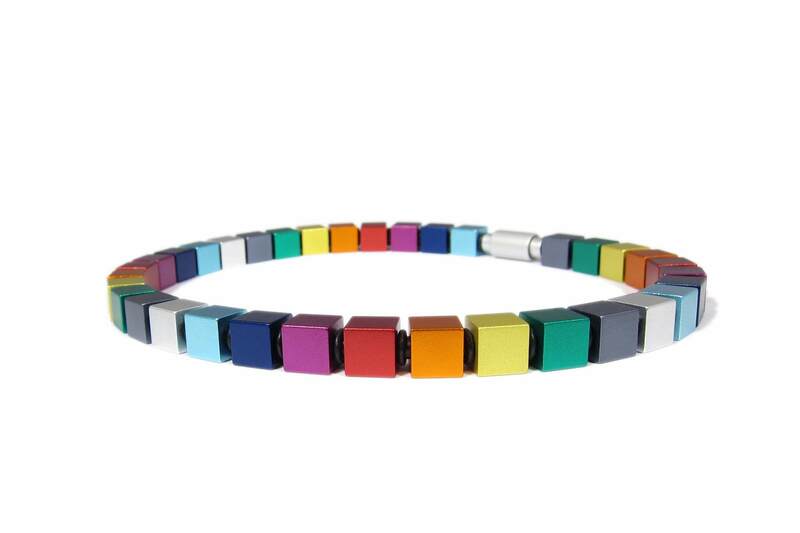 Apero is a swiss jewelry manufacturer, specializing in anodized aluminium and stainless steel. The large collection includes earrings, necklaces, rings and bracelets. Anodized aluminium necklace with a black rubber inside.